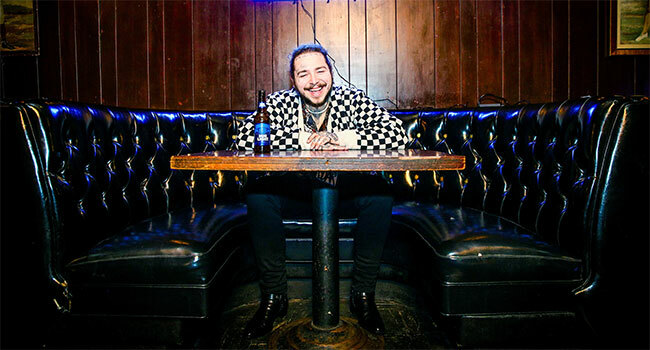 Bud Light has announced history-making, chart topping recording artist, Post Malone, as the next artist joining the brand’s popular Dive Bar Tour this spring. Prior to releasing his next solo studio album and performing for sold-out festival crowds later this summer, Post Malone will take the Bud Light Dive Bar stage to perform for an intimate crowd in Nashville on Wednesday, April 4th. Following-up on crowd-pleasing Dive Bar Tour performances in years past, which have featured Lady Gaga, John Mayer and G-Eazy, America’s favorite light lager is continuing the popular series in 2018 with artists that they consider friends and fans of Bud Light. The Bud Light Dive Bar Tour is an extension of the brand’s friendship platform that celebrates the value of building friendships over music and beers. This year, The Bud Light Dive Bar Tour will share some surprises in advance of each show to get music fans even closer to their favorite artists. As in previous Dive Bar Tour shows, Post Malone could also be joined by some surprise musical friends during his performance. Post Malone recently released his latest single, “Psycho” featuring Ty Dolla $ign which debuted at No. 2 on Billboard’s Hot 100 chart becoming just the eighth artist to debut multiple songs at No. 1 or 2 on the chart. Meanwhile, his RIAA 5x Platinum hit, “Rockstar” featuring 21 Savage went No. 1 for eight consecutive weeks and RIAA 7x Platinum smash “Congratulations” peaked at number 8 last year. Post Malone is scheduled to drop his second full-length album later this year. Post Malone’s Bud Light Dive Bar Tour stop will take place in Nashville on Wednesday, April 4th and will be live-streamed on the Bud Light Facebook and Twitter pages for consumers to experience the show live from anywhere in the country. More details on the location and time of the performances will be announced in the coming weeks.